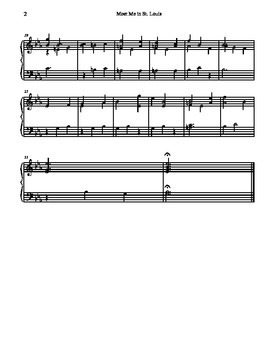 For 2 octave tone chime/ choir chime sets, here is an arrangement of Kerry Mill's Meet Me in St. Louis. 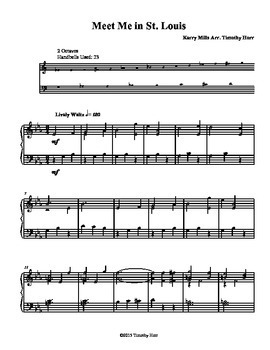 Using 23/25 bells, this waltz was written in 1904 and fits nicely with tone chime/ choir timbre. Meet Me in St. Louis is a fun waltz with a crossing accompaniment line between treble and bass clefs.